We recognised that Africa needs its place in this eco system and more specifically we wanted a place where it would be easy to list and trade African tokens. 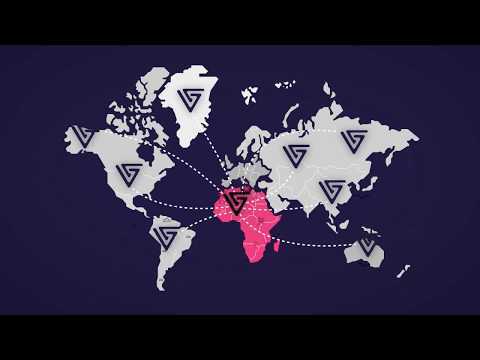 Vendex is a cryptocurrency exchange and trading platform that focuses on emerging markets, making it easier for people to access and trade crypto currencies in Africa. What makes us standout from the big players is how we are able to support FIAT deposit/withdrawals in this region. Through a network of merchant stores, mobile money operators, kiosks, and banks, Vendex is able to bring crypto to the unbanked, underbanked and banked in Africa. For example, your phone number serves as a mobile wallet in which you walk in to a store to load your wallet with FIAT which you can exchange for cryptocurrency on the platform An African based cryptocurrency trading and exchange platform aimed at simplifying path to listing and trading credible indigenous African tokens/coins, while facilitating FIAT withdrawal and deposit. What is Vendex and what can i use it for ? Vendex is an African based cryptocurrency trading and exchange platform aimed at simplifying path to listing and trading credible indigenous African tokens/coins, while facilitating FIAT withdrawal with our strong financial partnerships. Vendex will be a gateway to present and future blockchain projects, with numerous other use cases, in Africa, create opportunity for people in Africa and the rest of the world to fully engage in crypto currency trading..
Vendex will support range of credible and genuine cryptocurrency assets; tokens and coins, from African based projects with priority listings. Vendex has implemented a social trading feature to give users the opportunity to interact with each other directly, enabling them to share trading singals and views. Most of the cryptocurrency assets will be deposited in an offline wallet and stored in a secure vault, while assets stored online will be backed by strong security protocols. Vendex unique and scalable order matching engine is designed to achieve true real time trading which can process millions of orders with sub-millisecond latency. Development and testing of smart contract for token management and issuance. Vendex Version 1.2 and Mobile App Release.